Using the Transform tool, you can easily reposition, scale, rotate and even skew layers directly in the Camera view. When positioning a drawing layer using the Transform tool, always make sure the Peg Selection Mode is deselected in the Tool Properties view. Otherwise, it will limit the selection to pegs in the Camera view. For more details about the Transform tool options, see Transform Tool Properties . There are two different options you can use when you want to flip your element. The Flip Horizontal and Flip Vertical options let you flip a drawing layer along the Camera view’s horizontal and vertical axis. 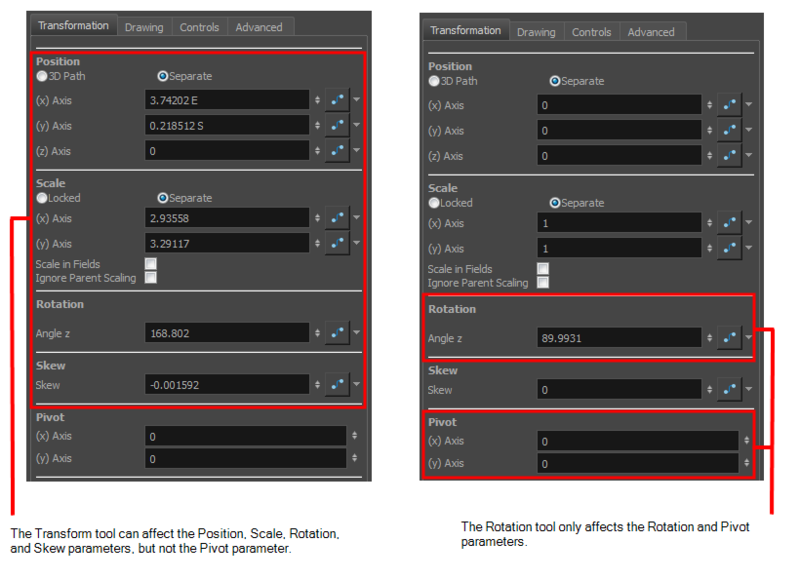 Once your drawing layer is rotated, the original horizontal and vertical axes change. 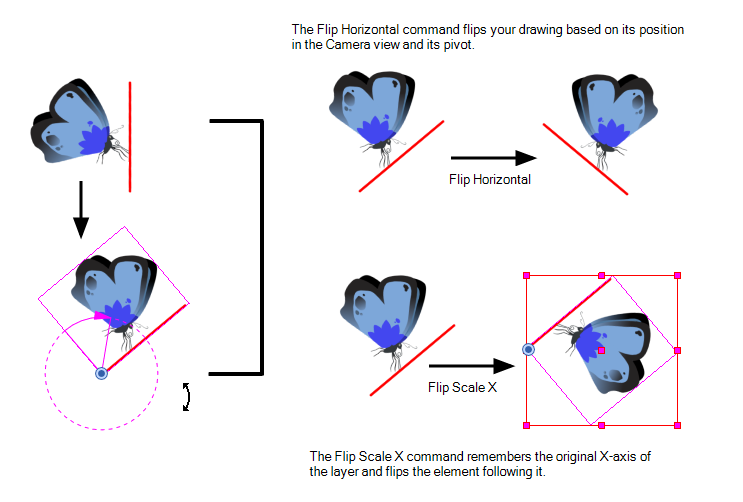 The Flip Scale X and Flip Scale Y will perform a flip on your drawing layer following its original axis.